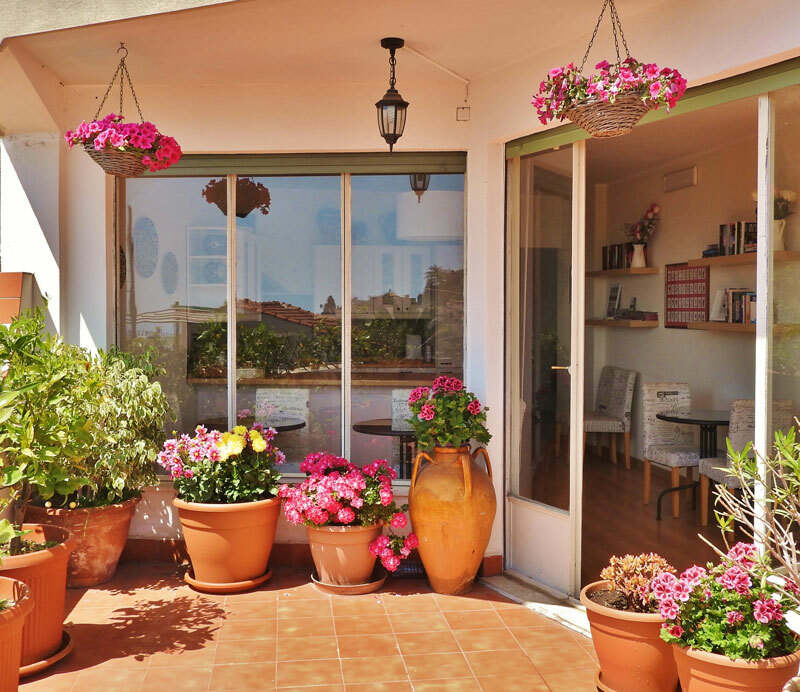 Your apartment includes three bedrooms, a kitchen and a shared terrace. 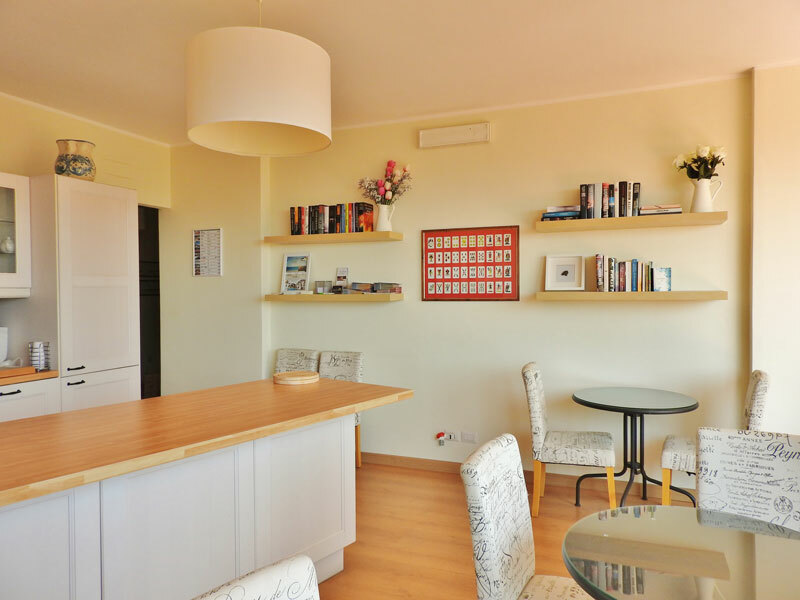 The spacious kitchen is at your full disposal for hot or cold beverages throughout the entire day. 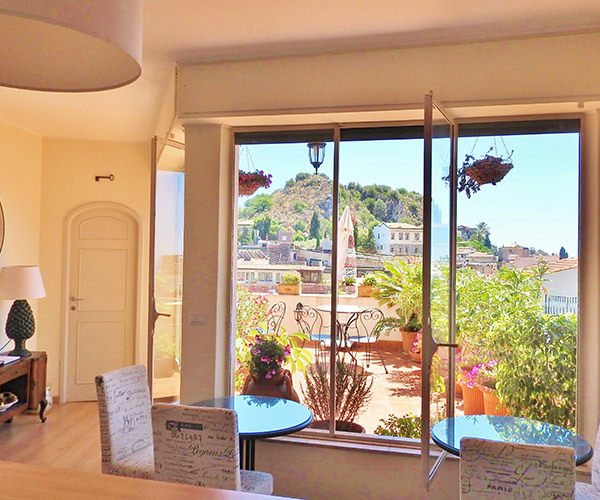 The kitchen may not be used to prepare meals. 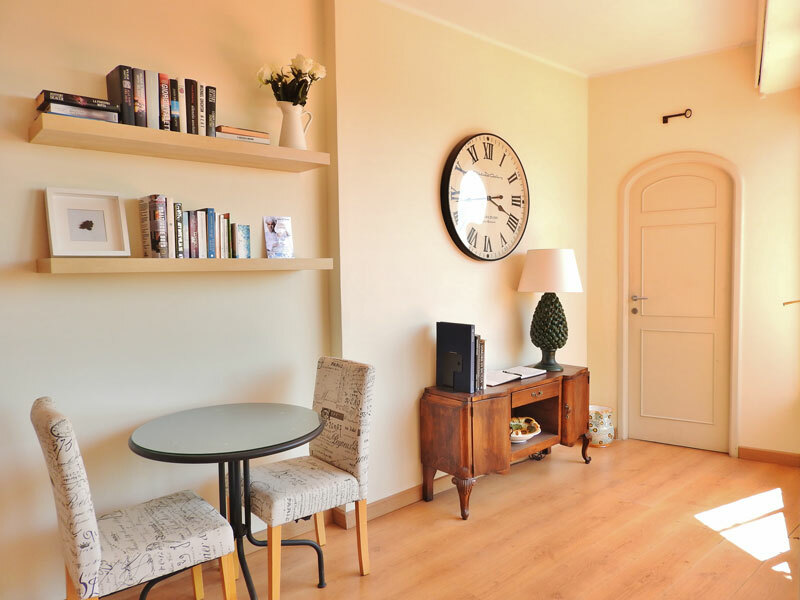 The large fridge, with freezer, can keep your beverages cool or freeze your ice packs for your cooler. 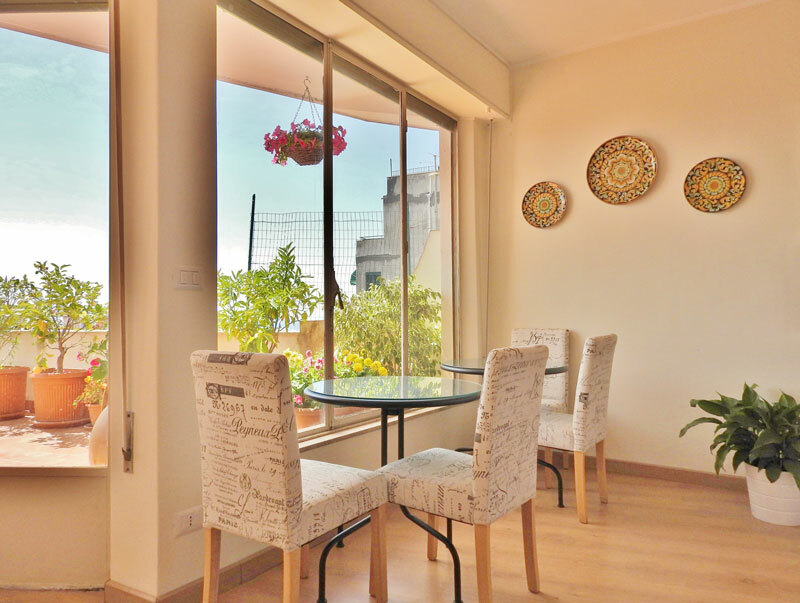 The tables placed near the large and bright windows that overlook the shared terrace allow you to enjoy our breakfast and view even on cold or rainy days. 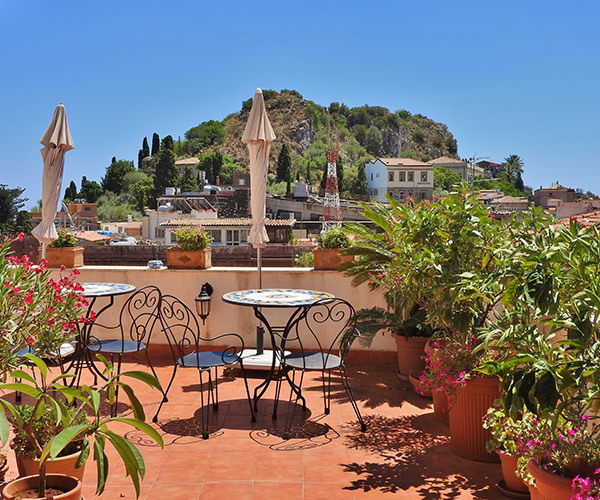 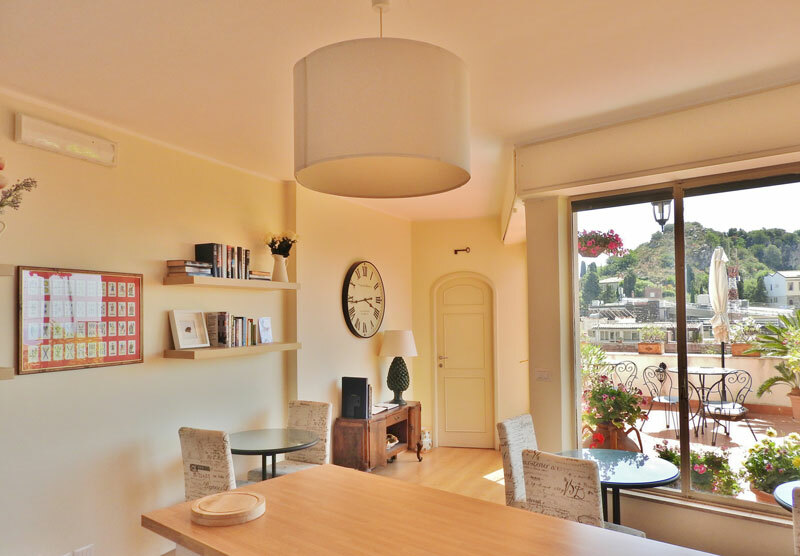 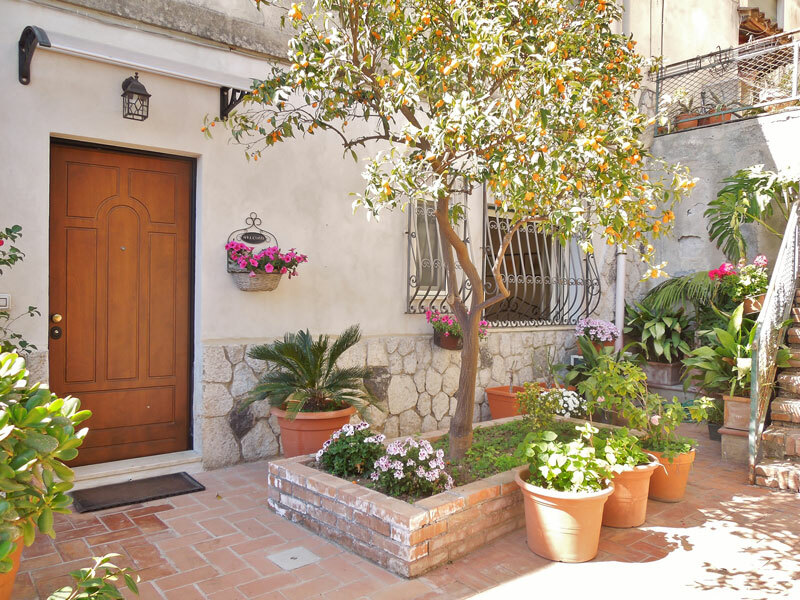 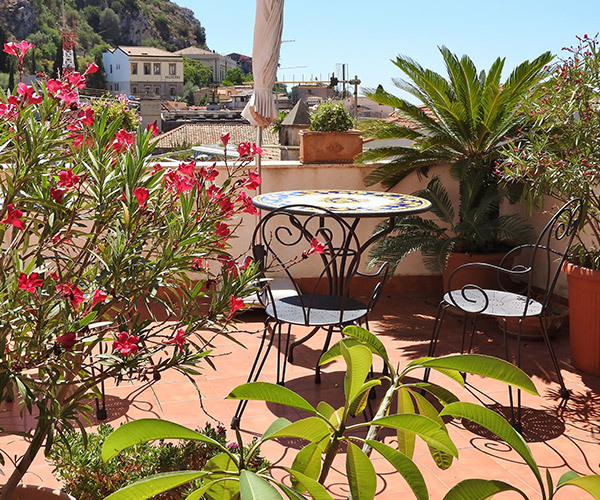 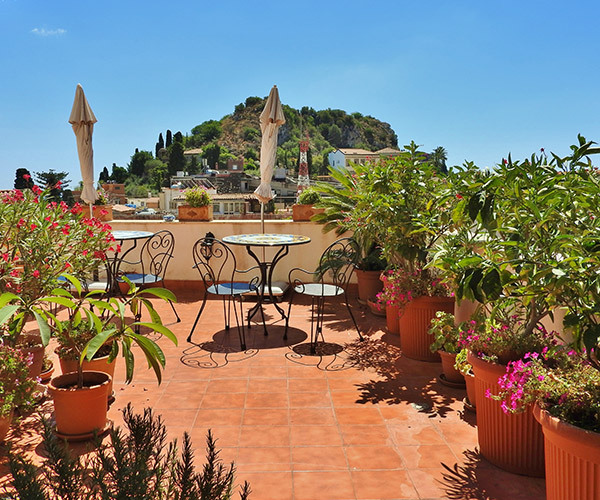 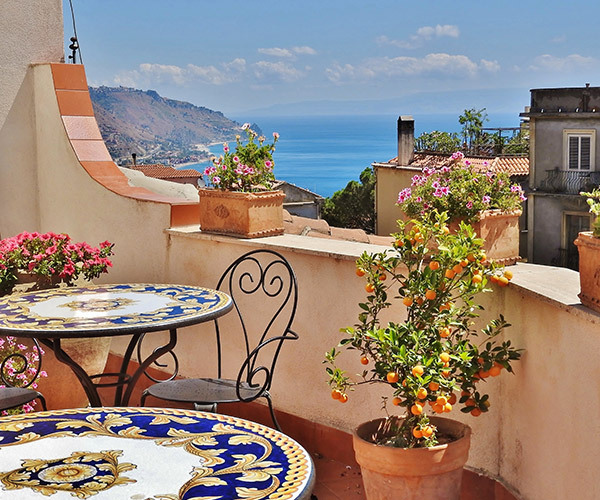 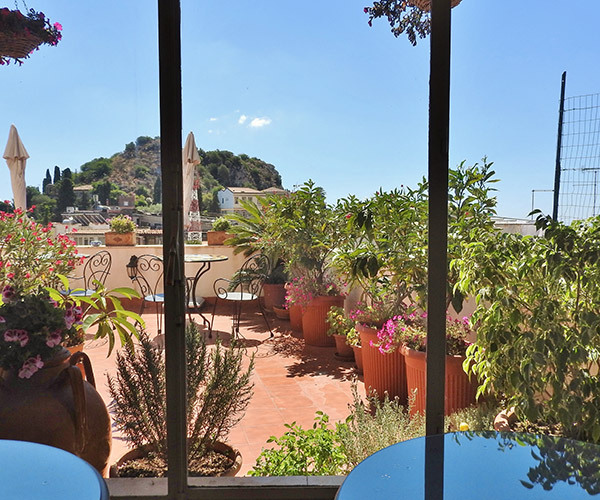 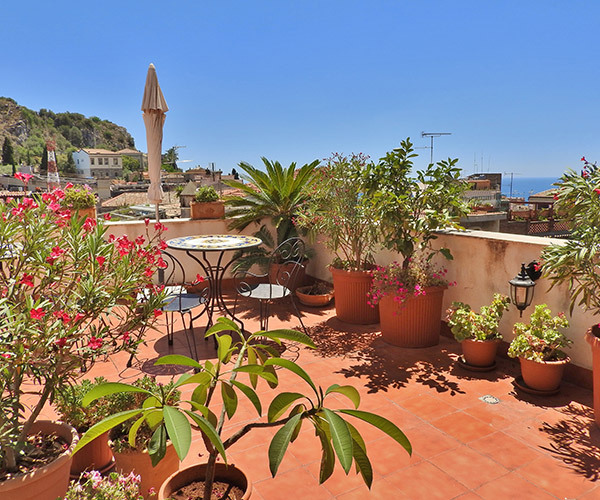 The shared terrace, sunny most of the day, will enchant you with its view that embraces both the sea – with the Calabrian coast in the background – and the heart of Taormina. 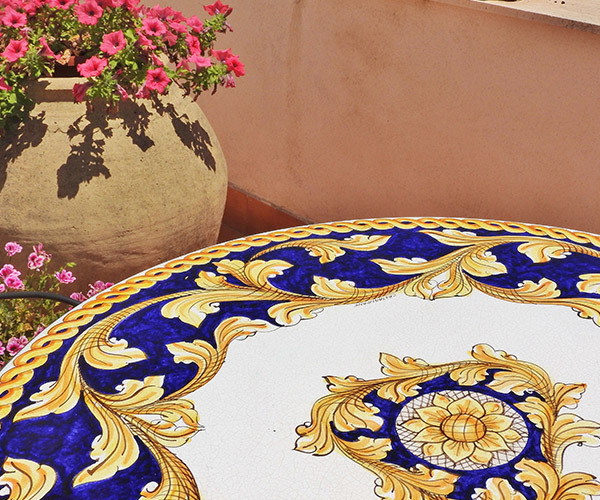 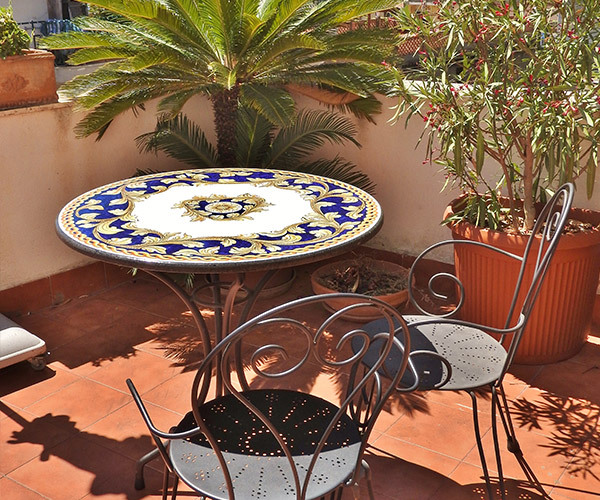 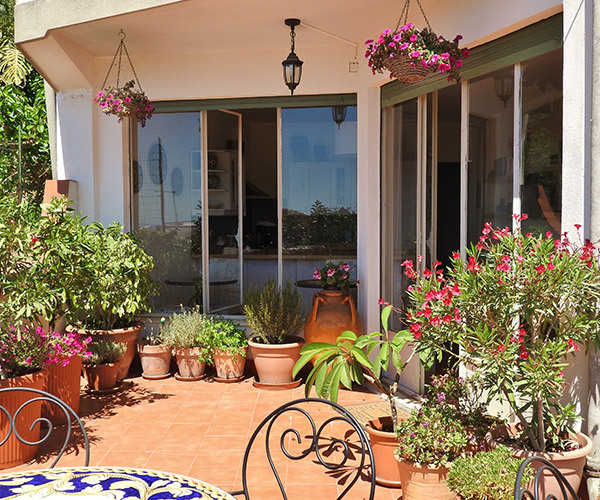 Rich in Mediterranean vegetation in the summer, it is the ideal place to eat breakfast outdoors.